NeuroMem network with 576 neurons with 256 bytes of memory per neuron. Access through a proprietary parallel bus. Wafer-scaled package. NM500 is a neuromorphic chip opening new frontiers for smart sensors and cognitive computing applications. It can solve pattern recognition problems from text and data analytics, vision, audition, and multi-sensory fusion with orders of magnitude less energy and complexity than modern microprocessors. 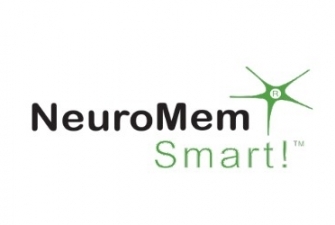 NM500 features 576 interconnected neurons working in parallel and capable of learning and recognizing patterns in a few microseconds. The neurons behave collectively as a K-Nearest Neighbor classifier or a Radial Basis Function and are trainable. They are especially suitable to cope with ill-defined and fuzzy data, high variability of context and even novelty detection. Last, but not least, multiple NM500 chips can be daisy-chained to scale a network from thousands to millions of neurons with the same simplicity of operation as a single chip.